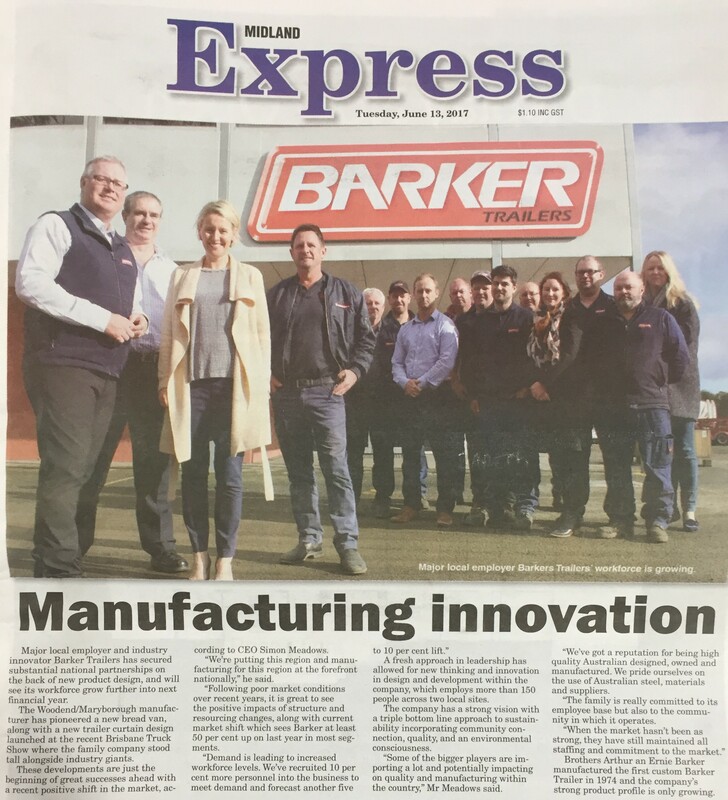 Major local employer and industry innovator Barker Trailers has secured substantial national partnerships on the back of new product design, and will see its workforce grow further in the next financial year. The Woodend / Maryborough manufacturer has pioneered a new bread van, along with a new trailer curtain design launched at the recent Brisbane Truck Show where the family company stood tall alongside industry giants. These developments are just the beginning of great successes ahead with a recent positive shift in the market, according to CEO Simon Meadows.